Enrolling our children in Home Away From Home Academy has truly been a wonderful experience for our family. My wife and I moved to Aberdeen in 2012 and welcomed our first child in late 2013. We had originally intended to have a nanny watch our son part time, but once we took a visit to Home Away From Home we were sold. Jennifer, Liz, Carmine and Phyllis create a welcoming experience from the moment you walk through the door. The tour of the school is absolutely amazing and I would suggest it to anyone contemplating enrolling their child. My son began attending when he was 5 mos old and from the very first day we knew (as new parents) that we had made the right decision. Our son quickly acclimated to his new environment and all the ladies in the infant room treated him like their own. He learned so much more than we ever could have expected in his first year at the school and came home often singing various songs that he was taught each week. What a pleasure it was seeing him develop through the help of the wonderful teachers from HAFHA. He would often come home and tell us about Maria, Lala, Peggy, Valerie and others. He learned how to walk, talk, share, colors, numbers, songs, and so much more in his first year. When we learned we were having a second child we enrolled her immediately because of the experiences we had with the school. The school is also quite safe as well. They routinely practice fire drills and emergency drills. There is a full time nurse who is willing to speak to parents and consult with them any time. I recently observed a well known national delivery company trying to make a delivery to the school after the office had closed for the day and NONE of the teachers would open the door. This might seem absurd to some but to me this was a real sign of protecting my child. Our family would recommend the school to anyone with young children looking for a warm, welcoming, safe, friendly experience. I have two children ( ages 5 and 2) that have attended HAFHA since they were four months old. Not a day goes by that I am not thankful for making the choice to send my children to this wonderful school. I toured many of the larger, national child care chains prior to touring HAFHA and was almost resigned to hiring help at home. My tour of HAFHA made me realize I didn’t have to compromise on any child care criteria – they had it all. The teachers at HAFHA are not only well qualified, (most are certified or in the process of obtaining their certifications) but also patient, attentive and truly loving in their care of the children. The curriculum is advanced, impressive and taught in a creative and imaginative manner that keep the children engaged in the learning process. I am constantly astonished by the concepts the children are learning at such a young age. I have no doubt that my children will make the transition to grade school well ahead of the curve. HAFHA offers true peace of mind to parents who want only the best for their children and, better yet, the children LOVE their school! Amazing staff! If your child’s education is important to you, this is the place to send them! HAFHA was the 4th school/daycare that my son attended and it by far is the best. Those other schools didn’t compare at all. Starting with the infant room… they were so unbelievably caring and loving to both of my kids. They keep open lines of communication open so you always know what’s going on. And Nurse Barbara keeps a very close eye on anything suspicious and would call me right away. They actually TEACH your child from infancy. They believe that the first 5 years of a child’s life is when they absorb the most so they are a true school from the very beginning. The older classes for Preschool and Pre-k are totally awesome. My kids were reading and writing in Preschool. This school exposes them to foreign languages too. My son speaks Italian. It’s truly amazing. 🙂 The owners are also amazing. They truly care for the children and the families and work with you in any way they can. They put on Holiday Shows and Graduation Shows at Matawan HS which is so nice for the kids to be a part of and for the parents to watch!!! I could go on and on….. I can’t stress enough to new parents how great this school is. This school is the VERY BEST!!!!!!!!!!!!! Having looked at several day care and pre-elementary schools in the area, I knew immediately from our tour of the school that the environment at HAFHA was a perfect fit for our family. From the early age of 2 1/2, our older son was able to gain a curiosity and interest in learning that will prepare him for continued success in his academic endeavors. Our older son attended HAFHA from preschool through kindergarten and has started first grade with educational and personal development skills that far exceed his peers. 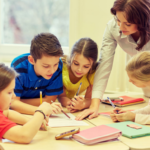 The drive to learn, the self confidence and independence that the teachers foster in each child is a perfect foundation for a child to build upon throughout their lives. We are excited that our younger son is also able to experience the same opportunities and self development while he currently attends HAFHA. A rare find. A group of educators that go the extra mile. I am often gobsmacked that in this day and age, my children get to attend a school that is top notch. Not to mention all the extras that make this experience so special for us. From Halloween parades to holiday festivities to the simpler things that create memories to last a lifetime. The personal attention that we receive means the world to us. I feel that my children are cared for and most of all safe. They have created a nurturing environment for sure. I’m just putting this out there for all the parents setting their child on a great path. Thank you to the staff and teachers at HAFHA for all that you do. 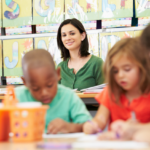 I have been in the educational field for 28 years and during that time have spent thousands of hours in classrooms from pre-school to third grade coaching teachers in Broward County, Florida. In visiting Home Away From Home I saw many of the “best teaching practices” we ask teachers to strive for in action. The teachers and staff motivated engaged and created numerous opportunities for students to succeed while providing a nurturing environment. Kudos to the staff for a job well done! This is my second review of HAFHA now that I have my third child enrolled. My wife and I are over-joyed and impressed with the progress we have seen in our three children during their time at Home Away From Home Academy. We recently put our third child, our youngest son, in the infants room. Having two kids already come through this program, we thought we knew exactly what to expect. We were pleased to learn they continuously update their curriculum, their safety standards, and their communication with parents. We were happy to find out that even though we were “veterans of HAFHA” the programs were ever evolving. Our daughter is in the toddler room and she initially was going through some separation anxiety but is quickly going to the teachers and her friends now and not struggling as much when we leaver her. The teachers also continue to carry the potty training message we are working on at home into the classroom. Our oldest is now in pre-k and we couldn’t be happier. He has joined the dance class and the karate class after school (additional cost but very worth it and cheaper than you would pay outside). He is learning a lot about boundaries and discipline. The educational curriculum is everything we could hope for and more. We are shocked every day when our two older ones come home and start counting, or tell us about science, or the universe, etc. Most of all, we appreciate the attention to details and cleanliness. The nurse communicates with you and puts your mind at ease when something happens. And the school is extremely clean and well maintained so kudos to the cleaning staff. Little things like that are noticeable and help put our mind at ease about spreading sicknesses. Overall, we are extremely happy we made the choice to join the Home Away From Home Academy!! Home Away From Home Academy is an exceptional school. All three of my children attended and were at the school a total of 7 years. Two of my children went to Preschool and PreK and my other child attended Preschool through Kindergarten. I cannot not say enough wonderful things about the caring and qualified teachers and staff. The teachers really care for their students. There are certified teachers in all the classrooms. Not only is the curriculum above and beyond what other area preschools offer, but the experience my children had at the school was amazing. All three of my kids were so excited to go to school every day. The special science and music programs offered are a wonderful addition to the basic skills the children learn. They are more than ready to enter Kindergarten. 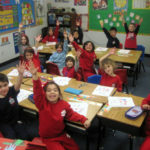 In the Kindergarten classes the children receive a weekly PE, art and science classes which is equivalent to what the public schools offer. Now that all my children are in public school I still see the benefits of their time at Home Away From Home Academy. My oldest has been in Math Enrichment since 2nd grade and was on the Academic Bowl team two years in a row. My middle child is getting straight A’s and reading one grade level higher. And my youngest is finishing Kindergarten and already reading alone and more than ready for 1st grade. 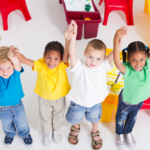 If you are looking for a preschool and/or private school for your children, look no further. I highly recommend you call for a tour. Home Away From Home Academy is an excellent place for little ones to be nurtured, learn, and socialize in a safe environment. We appreciate the level of communication that we receive from the staff and feel at peace knowing the nurse is well trained. In an important stage of development, HAFHA lays the groundwork for kids to thrive as they grow and move into more challenging curricula! I have had both of my children at Home Away From Home since they were both 3 months old. My daughter was there from infants thru Pre-K and my son has been there from infants and is currently in Preschool. The staff and teachers are amazing here. They have a nurse on site, Nurse Barbara, and she is awesome. I highly suggest sending your kids here if you can. You will not be disappointed. Home Away From Home Academy is a wonderful school for early childhood education!!. The staff is incredibly friendly and nurturing. You can truly feel the love they have for the children in their care. Alongside excellent academic success, HAFHA teaches children life skills, social skills and manners that will follow them throughout their school lives and into adulthood. Home Away From Home has an on site nurse that makes everyone feel safe and secure. Nurse Barbara is fantastic!!! 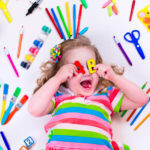 I highly recommend HAFHA to any and all families who are looking for exceptional child care. Home Away From Home Academy (HAFHA) has been a great find for our family. We are extremely fortunate to have a school that actually has an on-site nurse for his age group. (Currently Pre-K) Nurse Barbara is absolutely AMAZING and I have personally had the pleasure of getting to know her since my son has some health and allergy issues. The staff as well as Nurse Barbara takes the time to get to know each student and accesses their specific needs in order to ensure that they are safe as well as happy. 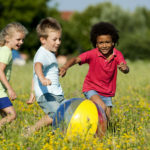 Prior to enrolling a student, specifically with health/allergy needs, they assess whether or not a child has specific issues and makes an informed decision as to whether or not the child would school would be a good fit for the child from both an educational perspective and a safety perspective. This was of the utmost importance to us as we needed to feel comfortable that he would be safe and well taken care of throughout the day. The educators within the classrooms are fantastic and we truly feel like part of a family. Each day we are blown away by the things he tells us about his day and the things he has learned. I cannot say enough about HAFHA, but I would like to personally thank them for a job well done and specifically throw a huge thank you to Nurse Barbara for her constant communication and extra attention that she pays to our son in order to ensure he remains healthy and safe! What an amazing school! The staff is super friendly and truly cares about each and every child. 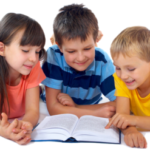 The curriculum provided for each grade level is advanced compared to many other private and even public schools. Once my kids completed their schooling at HAFHA, they were beyond prepared academically and socially for their new environments. If only they had a third grade, I would have kept my children there to continue. There is no doubt that Home Away From Home Academy was the best fit for our children and our family! Home Away From Home Academy is beyond the most amazing daycare/school setting. From the loving and caring staff to the warm, nurturing learning environment, my Kindergartner and preschooler are experiencing such a wonderful hands on learning adventure full of fun. The curriculum is advanced on all levels and it’s incredible to see how much my little ones have learned compared to little ones their age in other centers and how much they look forward to going. We have another little one on the way and for the first time as a mom I have no hesitation or sadness in knowing that I need to put my little one in the daycare setting. My only regret is that I didn’t find Home Away From Home sooner! I’ve had nothing but good experiences with the staff at HAFHA. The staff really puts their heart into everything they do. The children are in great hands at HAFHA. The HAFHA staff includes and involves parents and guardians each step of the way. The experiences I have had with HAFHA will resonate with me and I would recommend them to anyone who was considering their services. It’s so rewarding to see children having such great educational experiences and opportunities. Home Away From Home has given our twins so much nurturing. From the moment they arrived it was clear this school was family-oriented, inclusive, creative, and fun. Carmine and Phyllis care deeply for each and every student and they strive to make the experience memorable with so many extra touches and special events that families are invited to attend. We wish HAFHA could expand its capacity through the 6th or 8th grade so we could keep our kids there longer. We strongly recommend this facility to families in Monmouth County looking for a safe and loving environment for their kids. I’ve had nothing but good experiences with the staff at HAFHA. They’re always happy and smiling. It’s clear everyone there is doing what they love. Not only do they make sure all the children are learning and having fun but they include the parents and families every step of the way. Thank you for providing such a positive educational experience. It has been many years since I sent my child here, but it was a great place. Let me start from the beginning, this is going to be a long review. My daughter started Home Away From Home Academy “HAFHA” in kindergarten, she is now in the eight grade and we are at the point of applying to high school. She wants to become a surgeon. It took my breath away that at age thirteen she knows what she wants to do in life. My daughters education is by far, the most important part of my life and it all started when my husband and I chose this school. This was the start of a very successful foundation in her education. From the day I walked into that school, I knew it was the one. The owners and the staff are not only the best educators I have ever met, they are compassionate, family oriented, and love each and every one of the students as an individual. I knew my daughter was safe and cared for. She continued at HAFHA until the second grade (the furthest the school allowed, at that time) There was never one moment that my daughter or I felt any disappointment. HAFHA is very on point when it comes to the start of any child’s education. I know, I owe it to this school for setting her on the right path and allowing her to pursue such an astounding career like being a surgeon. Thank you, for doing what you do! Away From Home Academy. The teachers are an educated and experienced group. There is no lack of structure and appropriate early childhood education here, which I appreciate as a former Pre-K teacher myself. 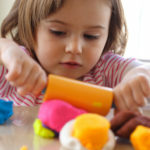 I also love how their daily routine includes an appropriate balance of independent child-centered activities and teacher-led activities, all of it fun and educational! You can see how well these teachers know how to manage a classroom and facilitate learning. My kid comes home singing songs from school and reciting phrases in Italian!! 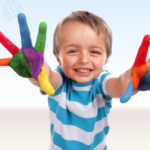 If you’re looking for quality early childhood education in the Aberdeen area, look no further. This place is it. I’ve been a child entertainer and educator for many years performing thousands of shows in hundreds of pre-schools in the metropolitan area. Home Away From Home Academy is what I consider to be the highest level of education any parent could ask for in a pre-school. Their facility is perfection for any other pre-school to follow. Their owners Carmine and Phyllis Visone have the experience, knowledge and dedication to this school which makes it among the best! If you’re looking for a pre-school to start off your child’s education, beginning school experience and the best care, then HAFHA is the answer. The educational level and care is second to none! HAFHA knows the importance of education and expectations parents have for caring for their child. Summing it up, without hesitation, HAFHA brings pre-school education and care to another level. We joined the HAFHA family in 2016 with our first boy since he was 5 months old, and that is exactly what it feels like a family. We couldn’t be happier with that decision. When it comes to our second boy, HAFHA is simply the absolute place. Starting with the infant room, it’s just more than amazing. Not only our primary (Ms. Peggy), but all the teachers are absolutely experienced, fun, truly loving/caring and kind. There is also the safest and the cleanest play area for infants to explore all kinds of activities. As a parent, it is such a relief to go to work each day knowing that my children are in a safe and loving environment. The waddler/toddler programs are also fantastic. It is wonderful to see how much my son has learned and grown from attending the school. When I pick up my son after work, teachers are always either playing or reading books with him. It is funny that at home, he tries to read books to us based on what he was taught at school. 🙂 I am writing a review for the first time to express my sincere gratitude for the wonderful experience we’ve had at HAFHA. If you are not sure where to choose for your kids, please come to HAFHA to check it out. This is an amazing learning facility. I’m a retired educator of thirty plus years and am do very glad that my daughter and I chose HAFHA for Ethan. This school is replete with love, laughter and a true joy for learning. 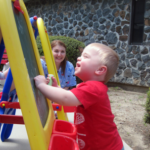 Each child’s individual needs are strengthened, encouraged and met by teachers and staff who truly care about children. Not only has Ethan grown academically but he has also been exposed to the core needs of life such as compassion, consideration for others, manners and respect. Mr. V, the owner , always has time to chat with parents, children and yes, even grandparents. The recent graduation performance was amazing as the children sang popular Broadway show tunes beautifully. The ceremony was lovely and one could see the hard work that both students and staff exerted to make it such a success. Terrific school- look no further. I have been an educator at a nationally recognized Blue Ribbon Award winning school for over 5 years. The National Blue Ribbon Schools Program recognizes public and private elementary, middle, and high schools based on their overall academic excellence. After interviewing over 11 different early childhood education programs in our area, our family was certain that Home Away from Home Academy would be the best fit for our child (my nephew). 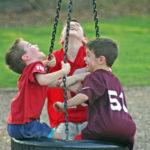 Home Away from Home seems to encourage each child to strive for academic, social, creative and athletic excellence through the interaction of a caring community. 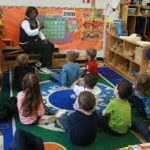 The entire staff fosters a unique environment to ensure each child can grow in self-esteem, in social and moral responsibility and in those values needed to be prepared for their first day of kindergarten. We are extremely fortunate to find a “home,” where we feel our child is loved and cared for. 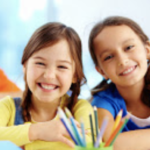 Home Away From Home Academy has a caring staff who loves children and provides the best in education.